Published February 3, 2015 at 413 × 686 in New YouTube Smear? 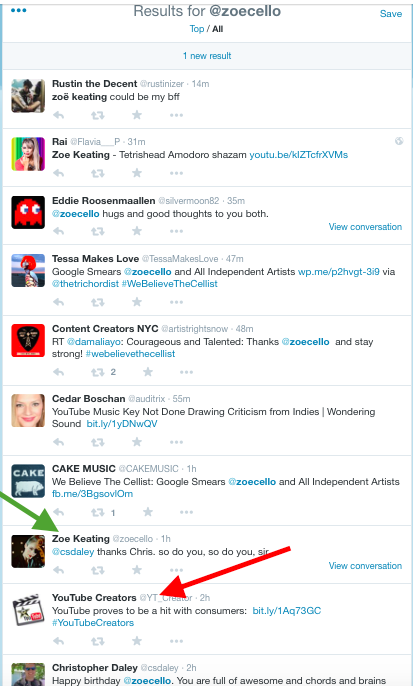 When I search Twitter for @ZoeCello why do I get “YouTube Creators” account as search result? Why does it point to Business Insider Article?